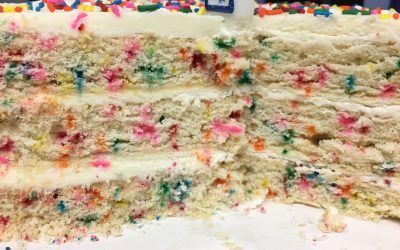 Unlike Molly, and maybe many of you, this was not an “iconic cake of my childhood” mainly because I was a child in the 1960s and cake innovation technology just wasn’t there yet. But even without the strong pull of nostalgia, how can you not be drawn to this cake? It’s got “fun” right in the title for crying out loud!